In Part I, I provided an overview of what the Program for Accelerated Growth (Programa de Aceleração do Crescimento – PAC) proposed by President Lula is and why it matters to the issues I discuss in The Temas Blog. I also discussed its most direct impact on environment policy, the proposed changes in environmental licensing. In Part II I examined the provisions regarding the so-called Regulatory Agencies. Here in Part III we’ll look at the energy (and petrochemical) components, and in Part IV the portions regarding water, sanitation and waste. 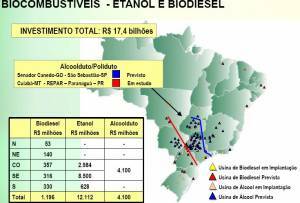 ensuring Brazilian leadership in biofuels. 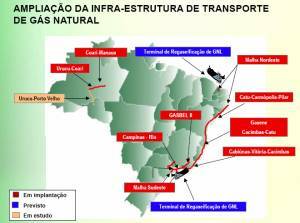 the Rio de Janeiro State Petrochemical Complex (Comperj), a R$21 billion project expected to begin construction in 2008 and once done is expected to process 150,000 bbl/d heavy oil to produce diesel, ethane, propene, benzene, paraxylene, butadiene, polyethylene, polypropylene (PP), PET, PTA (primary material for making PET and polyester), ethylene glycol and styrene. 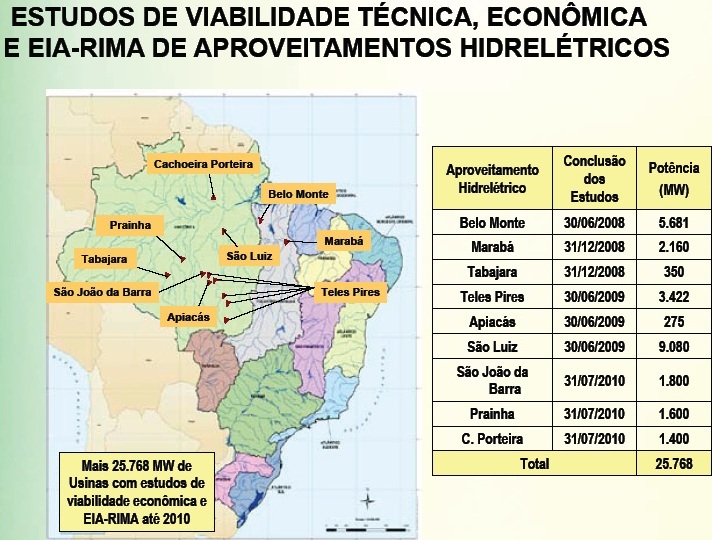 Rio state’s Environment Secretary, Carlos Minc, says that the environmental license package for Comperj — 50 different environmental licenses — is the largest in Latin America. 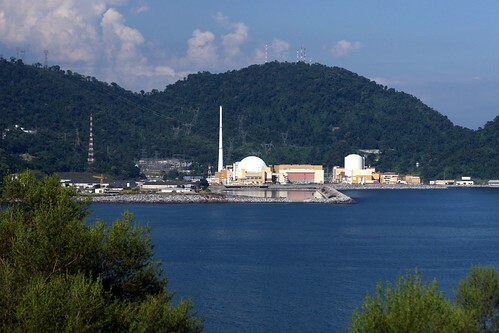 Some environmental advocates are upset about Comperj’s siting, saying it poses huge risks for the area’s wetlands and rivers and to nearby Guanabara Bay itself. the Abreu e Lima Refinery in Pernambuco state (PE), a R$10 billion project in cooperation with Venezuela’s PDVSA expected to break ground this year and once online in 2012, process 200,000 bbl/d heavy oil and produce diesel, coke, naphtha, LPG and bunker. 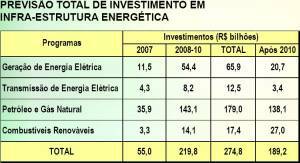 the Gas Production Anticipation Plan (Plangás) – a R$25 billion (about US$12 billion) investment to increase natural gas production to 40 million cubic meters (m3) by end-2008 and to 55 million m3 by end-2010. Interestingly enough, the PAC does not include the trans-Amazonian pipeline proposed by Venezuelan President Hugo Chávez and in which President Lula has expressed some interest. 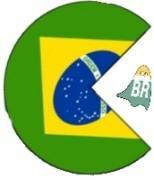 Since the unveiling of the PAC, Petrobras has become one of the Program’s most vocal defenders, leaving some to wonder aloud about how blurred the line between government and enterprise has become at Petrobras since Lula took office. 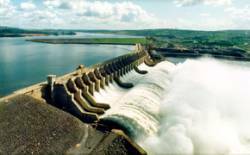 Most press reports on the PAC’s energy element focus on the shopping list of projects, whether conventional or biofuel. Most skip over the PAC’s call for quick approval of the natural gas bill sent to Congress by Lula in March 2006, which is intended to amend the existing (1997) law to (1) authorize the use of natural gas in power production plants and treat its industrial use as a secondary market; (2) set clear rules for access to gas pipelines and setting tariffs for such service; (3) create a concessions regime for the constructions and operation of pipelines. This bill faces problems in Congress, because as written it would wrest control over authorizing pipelines from the states and give it to the feds, which many state delegations are opposed to. 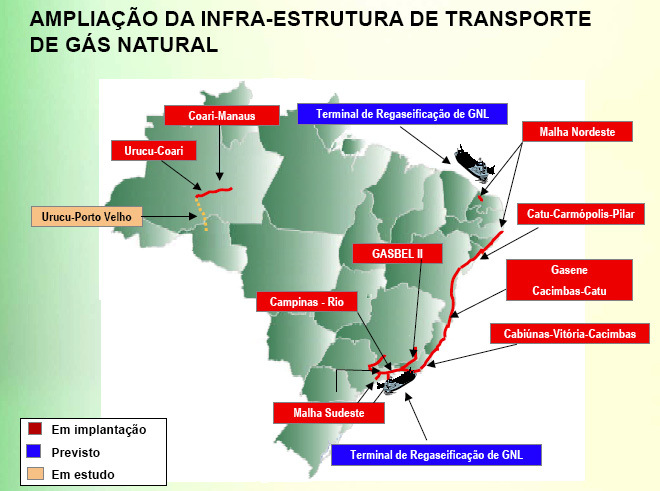 As for projects, in addition to Petrobras’ Plangás (see above), the PAC envisions about 4,526 kilometers of new gas pipeline — hence the worry among some state officials and NGOs about the proposal for shifting environmental licensing for such projects to federal hands (see Part I). H-bio: Petrobras will invest some R$150 million (about US$71 million) in four refineries in Minas Gerais (MG), SP, PR and Rio Grande do Sul (RS) to produce “H-bio”, the blend of vegetable oil and diesel. Center-West: 10 in development, 10 more foreseen after 2010. All of these projects must undergo environmental impact assessment (EIA), public hearings and licensing, and many are expected to face opposition from NGOs, perhaps even court battles. Hence some of the timelines for the projects listed (click on image) in the PAC are considered optimistic. Fully a third of the lines will go to link up the North to the Center-West and Southeast. Some NGOs have asked why so much emphasis has been placed on linking to the larger power grids of the coastal zones, in the process reinforcing dependencies on the latter, rather than on finding ways — perhaps though wind and solar power, bio-energy and micro-hydro — to make some of the interior self-sufficienct in energy. It’s not that the PAC doesn’t mention renewable energy sources other than bio-energy, but rather how it mentions them — just barely, in an almost offhand manner. In fact, no mention at all is made of solar, wave, geothermal, tidal or OTEC. 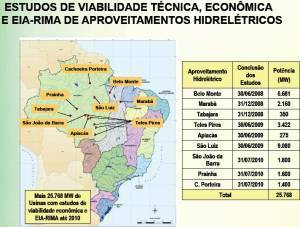 The only non-bio renewables mentioned are small hydro (pequena central hidrelétrica – PCH) and wind power, and even then treated as asides (such as “PROINFA – 6 PCH’s – 102 MW”), with no names or specific locations noted. In the original press briefing packets on the PAC was a special annex regarding the relaunch of work on the Angra III nuclear power plant. This was quickly removed and the Minister of Energy and Mines (MME) has since denied that Angra III is part of PAC. Even so, it has re-ignited (yet again!) 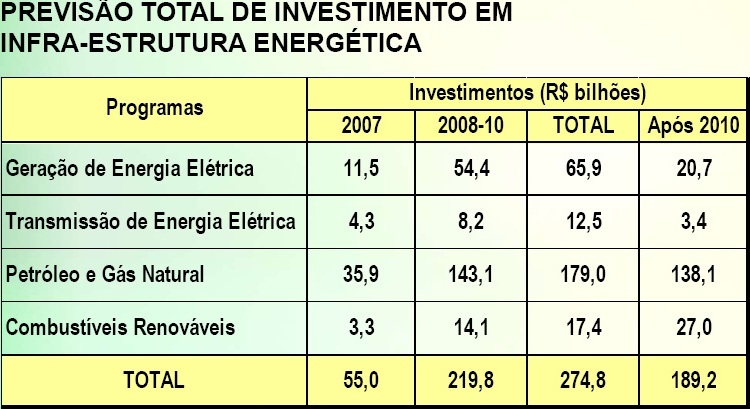 the debate within the Lula Administration about whether Angra III should be finished and another nuclear plant built (as MME advocates and Environment Minister Marina Silva vocally opposes) or whether Brazil instead should pursue a combination of energy conservation and alternative energy sources. In the final Part I’ll examine the small but important role PAC foresees for drinking water, basic sanitation and waste collection and disposal.